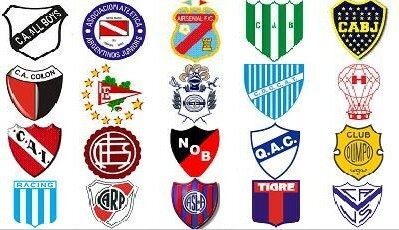 The full fixture list has been released for the 2011 Torneo Clausura de Primera División. The campaign will start on the weekend of the 13th February and end on the weekend of the 19th June, in time for the Copa América which will kick off in La Plata on the 1st July. Champions Estudiantes de La Plata will start at home to Newell’s Old Boys and finish their season with a visit to Arsenal de Sarandí. The full fixture list is right here. Dates for each round are for the Sunday of the weekend given; matches will be played between the previous Friday evening and the following Monday evening. The matches marked in red above are clásicos. If I’ve missed any, please mention them in the comments and I’ll update this post as and when. I do not yet know the exact dates of any particular matches. Nor do the AFA, because they haven’t decided on them yet. Please do not write to me this month asking whether River Plate vs Lanús is likely to be played on the Saturday or the Sunday of the final round, because I won’t be able to tell you. also await your year-end review, perhaps team by team?